Let me start by saying I’m afraid of ghosts. At least other people’s ghosts. Their ghost stories scare me. I think it must be the unpredictability of them, because I’m fine with writing my own ghost stories. For me, a ghost story has to have a romantic element for it to be enjoyable. 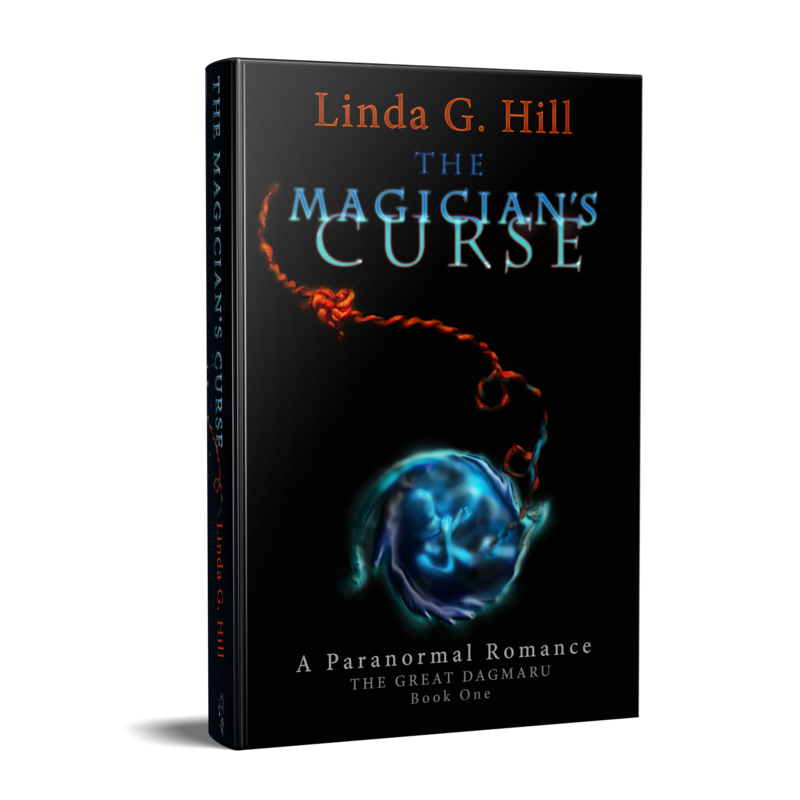 Like in the movie Ghost, which is arguably the most famous purely paranormal romance out there, there has to be a feeling of comfort for me to be able to watch it or read it. I remember the first time I tried to read Stephen King’s The Shining – I couldn’t. I got as far as the twins in the hallway and I had to put it down. Yes, I was only about fourteen years old at the time, but it wasn’t until I was in my twenties that I was able to read the whole thing. And I still look for a spooky set of twins every time I stay in a hotel. Especially if it’s an old one. It’s funny, I used to love to be scared by certain movies and books (but not too scared, Mr. King) but now I’d really rather not. Is that growing up? Or growing old? The “Ghost” prompt is brought to you by Barbara at teleportingweena. If you don’t already know her, please pop over and have a read! 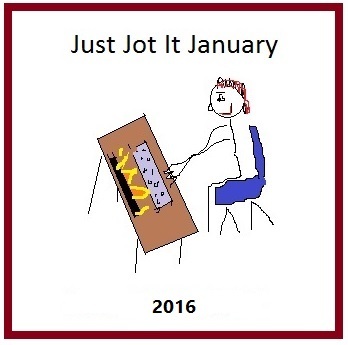 To find the rules for Just Jot It January, click here and join in today. It’s never too late! And don’t forget to ping back your January 29th post here! Categories: Blogging, Blogs, Just Jot It January 2016, Life, Prompt | Tags: Ghost, ghosts, inspiration, JusJoJan, movies, scary, stories, The Shining, writing | Permalink. I loved the movie ghost. My wife and I had to spend a great deal of time apart and the movie seemed to speak to our situation. Unchained Melody became a favorite of ours. Pingback: Just Jot It January: Day twenty nine. Melodic Randomiser Unspooled 6… | Diary of an Internet Nobody. For me, ghostly romance is: “The Ghost and Mrs. Muir,” Gene Tierney and Rex Harrison, 1947. The late 1960s tv series with Hope Lange, Edward Mulhare was based on the movie and book. I’m better at reading the scary stuff than watching it. I read the Exorcist, but when we acted “older” and went to see if, I couldn’t watch a lot of it. Of course, my friends knew something scary was coming as I slouched down in my seat. Never read Stephen King when you are working late alone. I’m reading the Shining, and the service elevator starts creaking up to our floor! No sea of blood — cleaners sending the mopping supplies up. But, there for a moment . . . . Guess I should write another post of ghosts, romance, William Peter Blatty and Stephen King. PS: One of Jack Nicholson’s best in the Shining! I have a very unhealthy fear of ghosts, and an even more unhealthy relationship with the likes of Stephen King. They scare me nuts and ruin my nights, yet I still read them and watch them every time! I’ve never been able to sit down and read a scary book and rarely watch a scary film. Something about purposely frightening myself doesn’t seem right. I’d rather laugh and cry than hide behind a pillow. Pingback: #JusJoJan — Ghosts – Forty, c'est Fantastique ! Ironically, horror and scifi and paranormal are my fav genres to read and I’ve only ever read one Mr King book. Which one? He really is very good. Rose Madder, actually not even a scifi book but a story of domestic violence. I have never read a Stephen King novel. I am not fond of paranormal and sci-fi stuff. I do believe in them, for some weird reasons. But don’t think I will be afraid of them. Hi Linda I have always been scared by Steven King and all Ghost stories! I have decided it’s called self preservation! Great post!